If you look at all the automobiles in production today, it’s hard to find many models that are very close to what they were 20 or even 30 years ago. Volkswagen’s Beetle is one classic that has been updated internally but is little changed on the outside, while Ford’s Mustang and Chevy’s Camaro also hark strongly back to yesteryear. The audio world has a few more timeless classics. Variations on the old Marantz 7C preamp and 8B tube amp can be bought today, for example, while McIntosh’s MC275 amp has needed only a few engineering upgrades. In the speaker market, every boomer who as a near-penniless kid lusted over the sound of some huge JBL speakers now can fulfill that old dream. The company is tapping this nostalgia by showing more at audio shows in recent years, typically paired from electronics with another name that may not be quite as old, but is no less legendary, Mark Levinson. Both now are owned by the same parent, Harman International. It’s been a tough few decades for speaker makers, especially those that were known best for their sizable statement models. The home theater craze threatened to vanquish two-channel sound in favor of speakers selected more for their ability to be sunk smoothly into walls and ceilings than for their sound quality. Big speaker cabinets used to be a prestige thing for audio fans, then suddenly small was in. Today, JBL makes in-wall speakers. But it bravely has decided to damn the torpedoes and get back to its roots with some good, old-fashioned monster transducers. 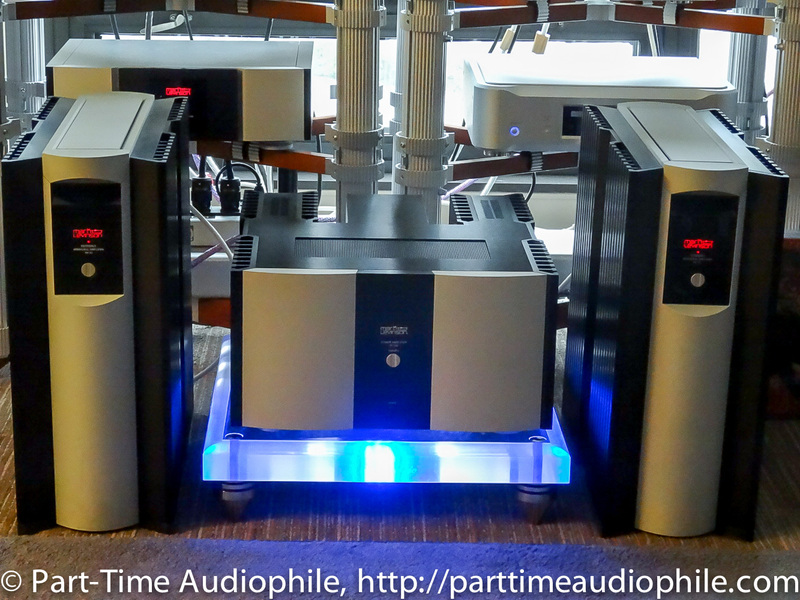 At AXPONA 2015, the brand was displaying two of its top offerings, the Everest DD67000 (now in V2 form, $74,000 a pair). The 300-pound behemoths each feature dual 15-inch woofers, a 4-inch beryllium midrange (up from 3 inches in the previous DD66000 model) and a 1-inch beryllium tweeter. While the beryllium material and some of the innards are relatively new, the exterior cabinet and horn system dates back to the company’s glory days. Also following in the family tradition was a pair of K2 speakers ($44,000), which could be described as a baby brother to the Everest — it’s just a baby that weighs 180 pounds. It shares its bigger sibling’s horn-loaded midrange and tweeter, but gets by on only one 15-inch woofer. 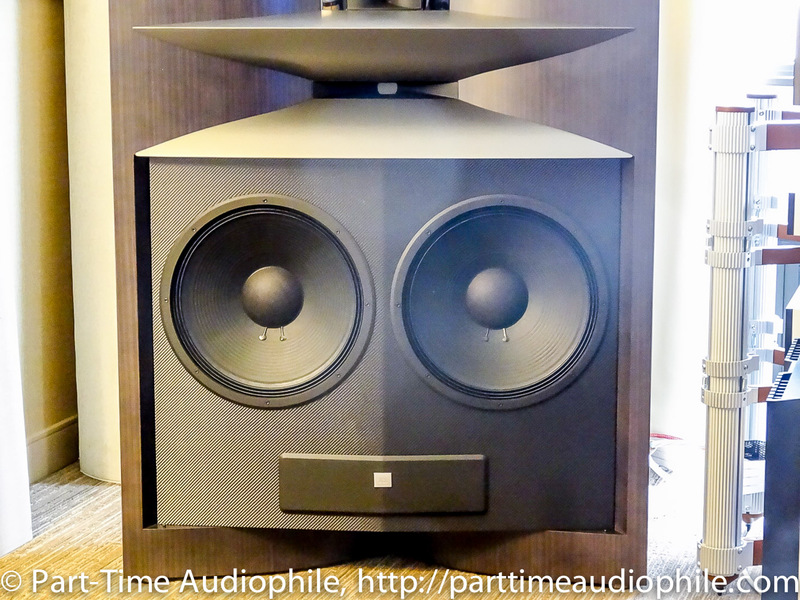 Powering these two monster loudspeakers were equally formidable amps from Mark Levinson, the No. 53 monoblocks ($49,000 a pair), controlled by Mark Levinson’s newest preamp, the two-chassis No. 52 ($30,000). 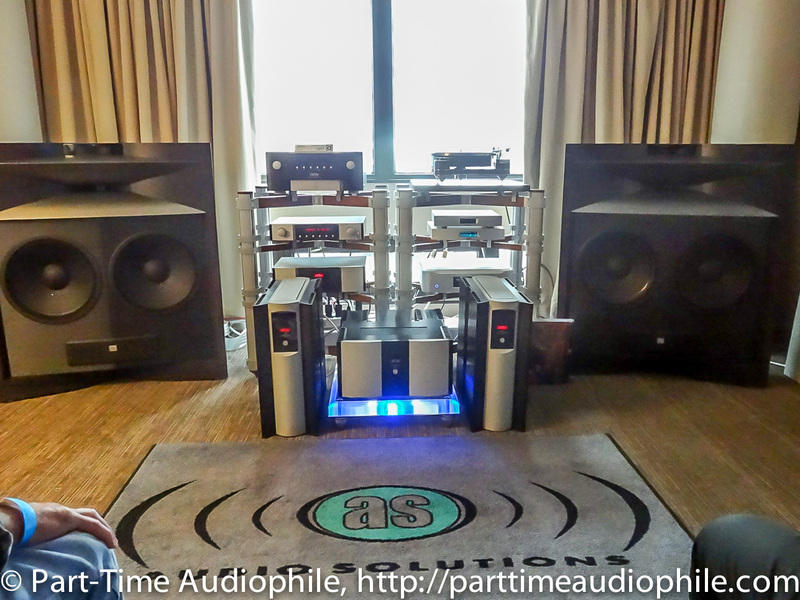 The company has been introducing increasingly stratospheric-priced equipment in recent years, but at AXPONA it also debuted its new integrated 200-watt amp/preamp/DAC, which was priced at $12,000. 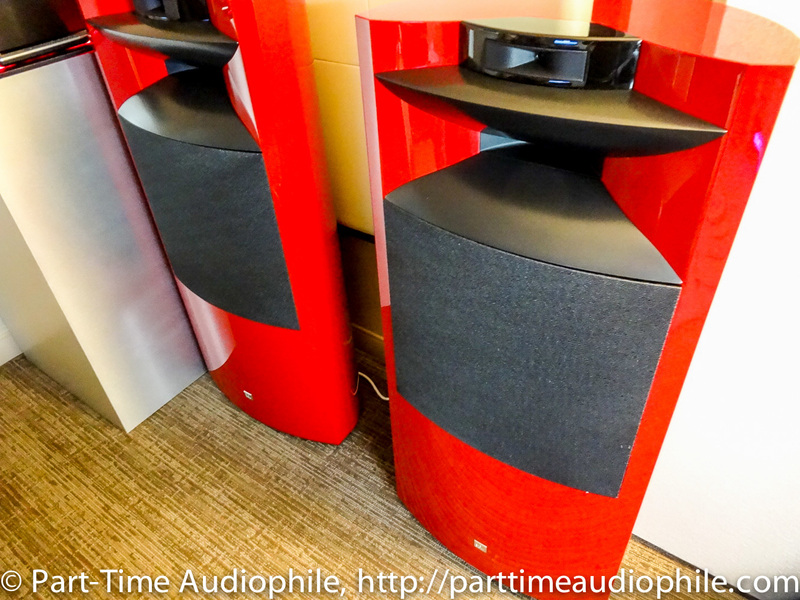 When I visited, JBL reps were playing the big Everest speakers on the big Levinson monoblocks. Whether blasting the feedback-heavy roar of Stevie Ray Vaughan or the more subtle bent notes of Mark Knopfler, the system bright a live PA sound to the material — a little brash, with plenty of bass and powerful transients. This isn’t surprising, considering the company’s frequent use in the pro world. Such massive speakers may not be everyone’s cup of tea these days, but for those who prefer their whisky straight and rock and roll unpolished, JBL certainly would be happy to bring the party to your house.